Lasizwe's reality TV debut was a big hit with viewers. Internet sensation Lasizwe Dambuza debuted his new reality show, '@Lasizwe: Fake it Till You Make It', this week - and his fans can't get enough of it. Lasizwe gave viewers a glimpse of his life when he is not wearing a wig for his hilarious Babes Wamaleyvels skits. 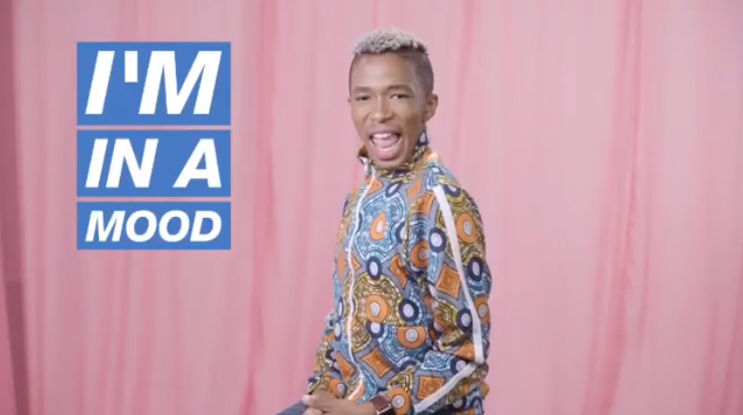 "It's time the world knew the real Lasizwe," he says in a promo clip for the show. The 20-year-old also made fun of the controversies around his brand, including accusations he steals other people's content for his skits. Lasizwe's older brother almost stole the show, with his equally funny personality. Big sister Khanyi Mbau was nowhere to be seen, but she did come up in conversation. Fans also noticed a few shady things during the show. Lasizwe, who had a public falling out with Bonang Matheba, used a pink backdrop for his confession room, similar to the one seen on 'Being Bonang'. While viewers thought he was copying Queen B, some believed he was taking a dig at the star. Was this his way of saying there is a new reality star in town? Lasizwe's fans are hoping actor Cedric Fourie makes an appearance on the show. They're dying to know whether the pair is really dating or if they are just friends. Viewers can expect a lot more laughs and the occasional drama in coming episodes. Here's a look at what social media users had to say about the first episode of Lasizwe's show. I’ve said this many times. I’m not the target market ya @lasizwe but this boy is sitting in gold. Again, not since the Yotv heydays has anyone captured the teen market like he has. Not this unnecessary breakUp/MakeUp shows Baaad example!!! Lasizwe show is so interesting.